This week was filled with variety and excitement. On Monday, I spent the day fishing at Camp Harbor View. Our first pull of the crab trap produced a small, algae-covered spider crab and two hermit crabs. The kids loved playing with the hermit crabs on the table; encouraging hermit races. Some of the more courageous children held the small, fluffy spider crab. Our little friend was content nestling down into the children's palms and staying put. As far as fishing went, we lost a good amount to bait to some strong nibbles, but were not able to catch a fish fully. On Tuesday, we returned to George's Island. I was in charge of fishing on the island, but was once again overrun with crabs! Every time we pulled up the crab trap, we caught another handful of multi-sized crabs. There were large red rock crabs and snappy, small green crabs. 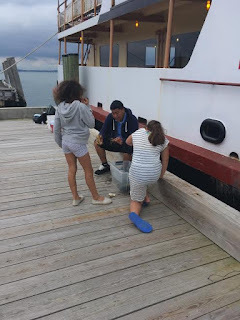 The kids kept catching crabs on their lines as well. It was entertaining to watch them reel in a crab, bring it over the dock, and then scream whilst chasing it all over the floor. Once the kids felt comfortable holding the crabs, they would not put them down. It was almost a struggle to get the kids to release the crabs back into the ocean. They all wanted to know why they couldn't take them home in their bags. On Wednesday, we had the wonderful opportunity to take part in a fishing derby. 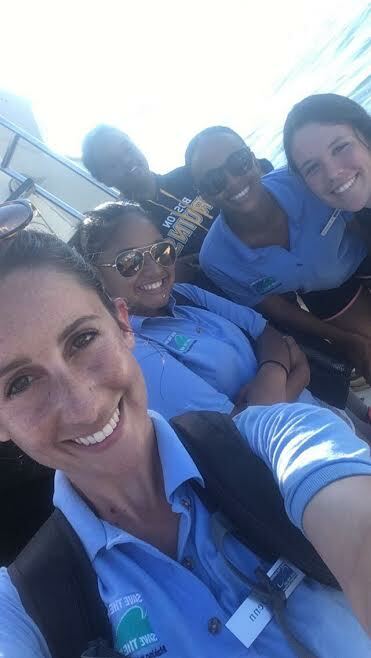 Our staff was split among a multitude of fishing vessels and were able to partake in some serious tournament fishing. Myself, Kharliyah, Kimberly, Patrice, and Marly were on a boat together with Captain Tim. 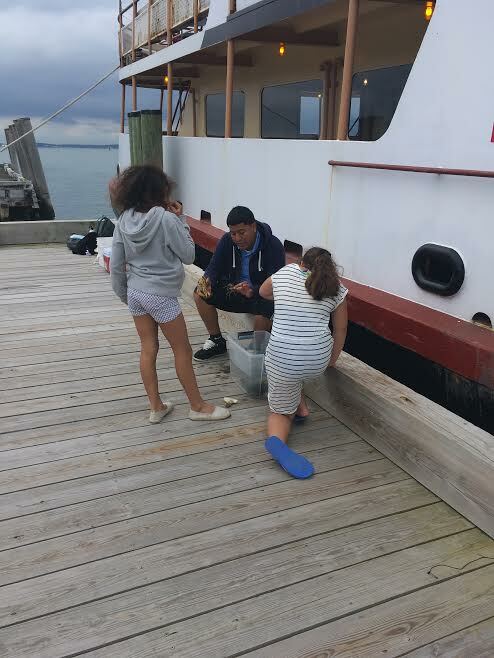 The captain and his assistant taught us how to bait a line that would be used to catch blue fish and striped bass. We released the lines and watched as they trailed behind our moving boat. We passed through schools of fish flopping at the surface of the water. This, it was explained to us, was a sign that larger fish were below the surface causing these small fish to panic where we could see them. Although we did not catch any fish, we did get to see a harbor seal and have an excellent tour of the harbor from the back of a beautiful boat. 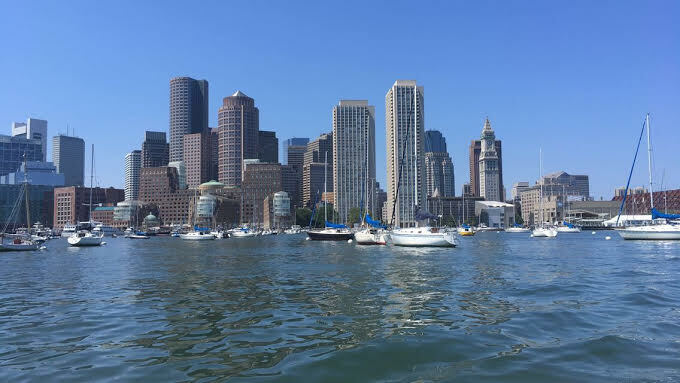 I learned a lot about fishing and the Boston Harbor and I can't wait to return to the islands to test out my new fishing skills.